The following bibliography includes my highly personal annotation. Erik Johansson, Cradled in Sweden (Sandy, Utah: Everton Publisher, 2002). 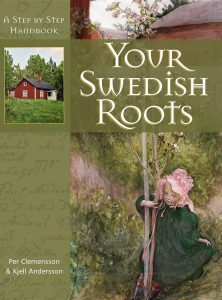 In my mind this THE must have book for American researchers of Swedish genealogy. It is a great introduction to all of the primary genealogical resources, and provides some very important tools I still use regularly, such as the conversion chart for movable feast days into calendar days. I have two complaints with this book, first, it is very cheaply printed and falls apart easily. Second, this book was originally published in 1972, while the 2002 edition made many significant improvements, it also omitted some important material. I have both editions and use them both regularly. Per Clemensson and Kjell Andersson, Your Swedish Roots: A Step By Step Handbook (Provo, Utah: Ancestry, 2004). This is a nice beginners book that introduces the reader to several of the primary Swedish resources. However, it places a lot of focus on accessing records through Genline, a company that was purchased by Ancestry.com. It uses a case study of one family to present methodology and resources. This has the advantage of making it intrinsically interesting, like you are involved in researching this family. But that case study approach breadth of information provided. It is a good read, but if you are on a limited budget I would pass over it. Nils William Olsson and Erik Wiken, Swedish Passenger Arrivals in the United States 1820-1850 (Stockholm: Kungliga Biblioteket, 1995). 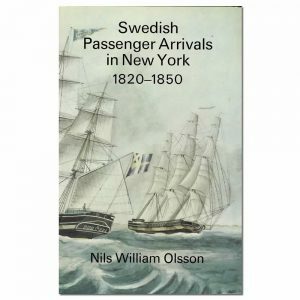 This is a revised and expanded version of the Olsson’s classic works Swedish Passenger Arrivals in New York 1820-1850 (Stockholm: Kungl. Boktryckeriet, 1967) and Swedish Passenger Arrivals in U.S. Ports 1820-1850 (except New York) (Stockholm: Kungliga Bibliotecket, 1979). This is indispensable if you have a Swedish immigrant who arrived in United States between 1820 and 1850. Olsson has found the location of origin and a significant amount of biographical information for many of the immigrants. Olsson is a careful scholar and his work very trustworthy. These books provide a context to your ancestors migration. Some are social science studies, other are novels, but all can help you make better research decisions by providing contextual insight. 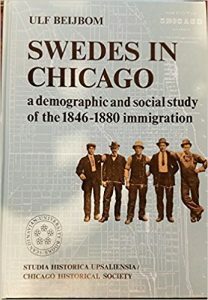 Ulf Beijbom, Swedes in Chicago: a demographic and social study of the 1846-1880 immigration (Växjö, Sweden: Davidsons Boktryckeri, 1971). A seminal study of the life of Swedish immigrants to the most Swedish City in the world, outside of Sweden. A sizable amount of demographic information that will help any descendant of a Swede who settled in an urban environment. This is an older book, but still one of my favorites! 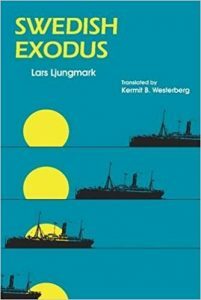 Lars Ljungmark (translated by Kermit B. Westerberg), Swedish Exodus (Carbondale, Ill: Southern Illinois University Press, 1979). 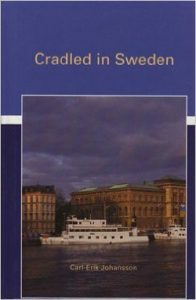 A very accessible overview of the migration from Sweden with a good, if now dated Selected Bibliography. There is a more current edition of this book, which may have a more up-to-date Bibliography.